﻿ Cenang Plaza Beach Hotel, Langkawi | FROM $31 - SAVE ON AGODA! "Hotel staff are so helpful & friendly." Have a question for Cenang Plaza Beach Hotel? "Great location, great views, beach access, clean beach." "Really good price and good location, staff also great." "Very convenient to shop ! Nice journey!" 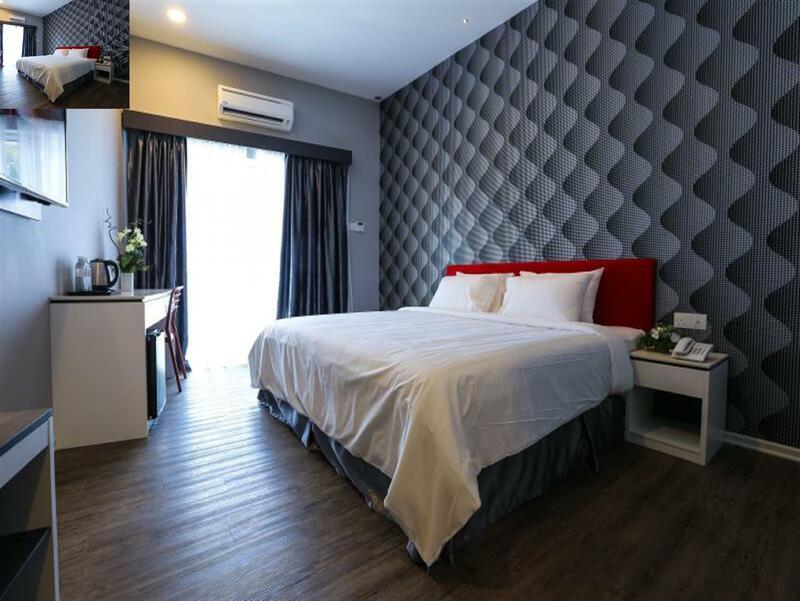 "STAFF WERE SUPER FRIENDLY!LOCATION WAS SUPERB!WILL DEFINATEL..."
If what you're looking for is a conveniently located hotel in Langkawi, look no further than Cenang Plaza Beach Hotel. From here, guests can enjoy easy access to all that the lively city has to offer. With its convenient location, the hotel offers easy access to the city's must-see destinations. At Cenang Plaza Beach Hotel, every effort is made to make guests feel comfortable. To do so, the hotel provides the best in services and amenities. 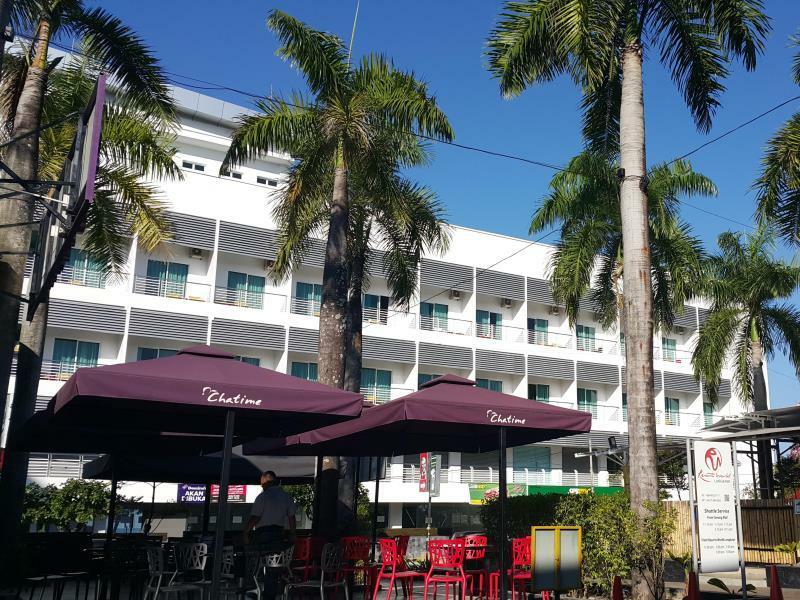 The hotel offers access to a vast array of services, including free Wi-Fi in all rooms, daily housekeeping, taxi service, 24-hour front desk, luggage storage. 43 rooms spread over floors provide a warm and pleasant home away from home. Modern comforts such as television LCD/plasma screen, complimentary instant coffee, complimentary tea, slippers, towels can be found in selected rooms. The hotel offers many unique recreational opportunities such as water sports (non-motorized). Cenang Plaza Beach Hotel is your one-stop destination for quality hotel accommodations in Langkawi. "Rooms are big and clean." Great location right in front of pantai cenang beach and behind is cenang mall. Staff are nice, friendly and helpful. Room are comfortable except toilet abit small. Other than that no complain.. along the road alot of food and shopping. Will come back again if ever visiting Langkawi! Stayed here for 4 nights, had a pretty good stay. 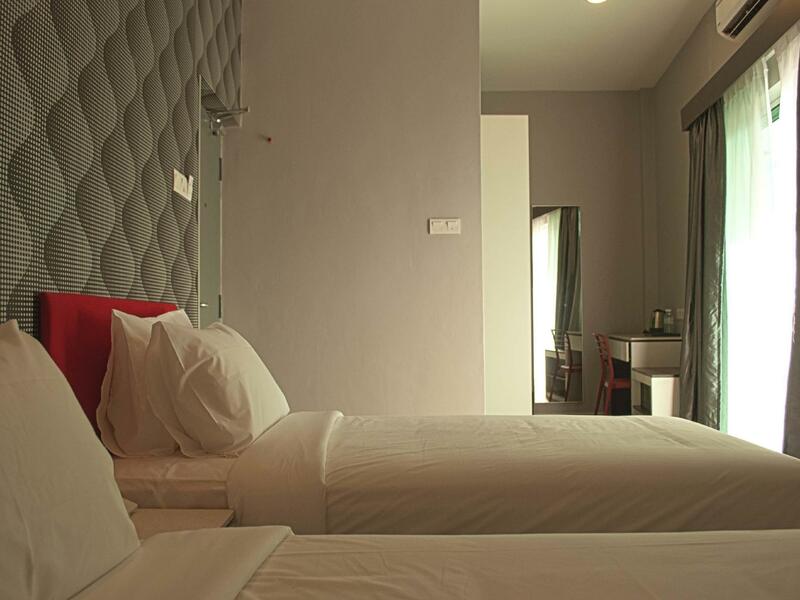 Hotel is along the Main Street and close to shopping, restaurants, and cenang beach. One thing we didn't enjoy is the beach noise/music/etc at night. Being close to the beach we heard the party noise and music until late in the morning (3 am and later). Hotel staff are very nice and helpful, nothing too bad or great about the hotel. Over satisfied of the overall stayed experience. Warm welcome from the Front Desk Staff with Cool Towel and provided bottle of drink during check out. Chenang Plaza hotel I chose this hotel as I wanted to stay right at the beach and on Chenang Walk. The front desk staff was very nice. However I could not check in prior to official check in time even though room was already available. My room was very spacious and looked very modern and clean. It also had a balcony with a seaview. During the afternoon it was too hot to use the balcony as there was no shade. When I came back around midnight, it was very noisy on the hallways. And you could hear EVERYTHING in the room. There was a lot of door slamming and people talking loudly - even though there was a sign to keep quiet. It would have been a pleasant stay if it hadn’t been so noisy at night (it was a Friday night). Rooms are big and clean. Beds are comfy but pillows are thin. Limited tv channels but compensated by the beach view at the balcony. So many eateries nearby as its the main tourist area. Beach sports are abundance here. Carpark provided but need to walk about 5 mins at the the opp. Cenang mall. Overall its a good stay. Pros is the location, staff service, and room cleanliness. Cons is that no breakfast is provided. There are no pool, gym, restaurant, bar. But this place is reasonably priced, clean and comfortable, and bang in the middle of Cenang, with loads of food, drinks, shopping, car/ bike rental, tour options only a (very-)short step away, and altho not facing the beach, it is still right on the beach. Absolutely the best location in Langkawi. I always travel to langkawi for business purpose. And stayed at many hotels at Chenang. So far this hotel is the best and worth my money as the facilities and location was good. The room is decorated with modern concept. Simple and nice. Staff was so helpful and friendly. They also offer u welcome drinks. Will definitely stay here again in future. 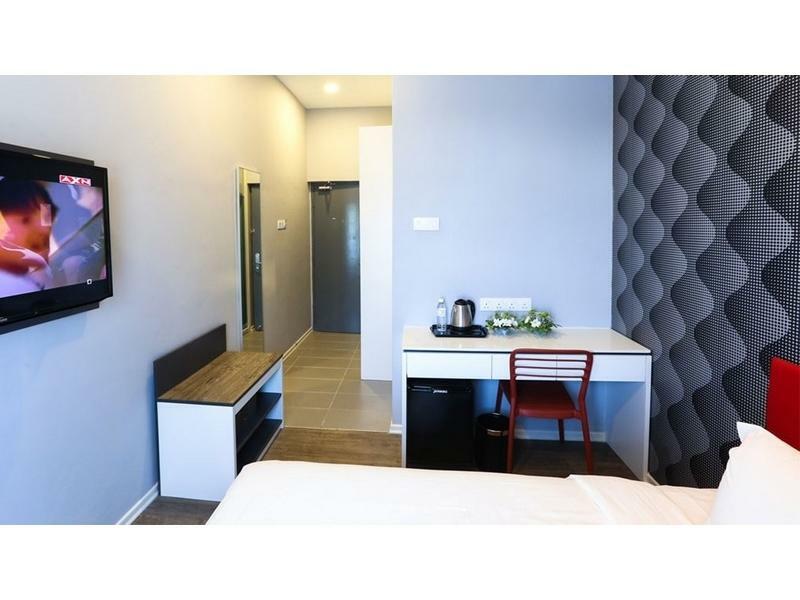 Pros: its location is second to none: opposite Cenang Mall and is walking distance to all interesting places along Cenang. Safe for solo travellers. Check in was a breeze..cold towel a nice touch. Parking at the mall is free if you show your room keycard. Wifi signal very strong. This is my third stay and I can safely say the standards hv been suitably maintained. Cons: floor trap of shower stall was a bit clogged. The water took some time to drain. The tv remote was also a bit finicky. There were also birds chirping at 1.30 am at the balcony. I think they have nested there. Please check. Right in the middle of Pantai Cenang. Just steps away from the beach. Though the beach is nothing to write home about. The hotel is cosy and compact. Okay for a short stay. Nothing much of a facility. Just a lift to your room, tiny lobby. Room need better sound proofing as the noise from hallway is way too loud. And dont get a room with a connecting room as the door is like paper. You can hear everything from next door. Including people's initimate moments. Location of hotel was very good. In Cenang area where all the watersports activities can be found. Just opposite of the Cenang Mall. Lots of restaurants can be found in the vicinity as well. Staff was polite and helpful. The only downside was the smell in the shower area, as sewage smell was present at times. Still worth it for the price paid. The beach is not the most beautiful one, but if you would like to enjoy the feeling that live very close to the beach, it can be your bext choice. Also, there are lots of stands and restaurent. The location is very convinient. The room is also clean and new. The clinet is also very freinedly and helpful. It's a nice experience to be here for staying 2 days. Beach is just behind the hotel. WiFi is good and comfortable beds. Staffs are friendly and welcoming. Though breakfast is not provided, there are a lot stalls around the area. Some good and cheap tour provider too. Its only less than 20 mins to airport and grab is RM13-15 one way. The hotel’s location is phenomenal as it’s in the centre of everything. It’s located right by the Pantai Cenang beach. Right across is the mall with shopping and restaurants (McDonald’s dessert, kfc, Japanese restaurant, Starbucks, old town coffee, and a seafood restaurant). Beach facing rooms is facing the beach but most beach view is hidden by trees. But having a balcony is still worth it. Free water bottle per day, free coffee and tea and excellent wifi. Some sheets were stained but not necessary dirty but just a bad impression. But overall very happy with our choice to stay at cenang plaza hotel! Reserved a Seaview room, but was blocked by trees. The bed us comfy, staffs are friendly, very good location. Budget Hotel with great location. Spacious room and with terrace overlooking by the beach side.